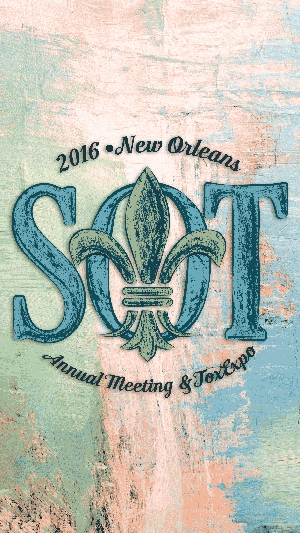 Santa Rosa, Calif. – Feb. 10, 2016 ATIV Software today released the “SOT2016” mobile conference app, built on the dynamic EventPilot platform, for the Society of Toxicology’s 55th Annual Meeting and ToxExpo. The scientific event app includes instant access to thousands of research posters and offers easy scheduling of the 5-day program. Learn more at http://ativsoftware.com. EventPilot meeting apps are specialized for large scientific conferences, empowering researchers to schedule a program tailored to their specific scientific areas. Reviewing session content and abstracts completely offline, combined with a visual way to plan each day, make it easy for attendees to prepare their schedule prior to the meeting. Users are able to constantly access and make changes to their mobile schedule via the iOS and Android native apps or through the online itinerary planner. Networking among attendees is possible with messaging and social sharing features directly integrated into the event app. EventPilot conference apps enable large data imports from abstract management systems so meeting planners can include all content from one source. Attendees can increase networking opportunities and keep in touch via the in-app private messenger tool. The free iPhone and iPad meeting app is available now in the App Store. The free Android event app is available in Google Play. Search “SOT2016”. A web version is available for Windows Phones and other web-enabled devices. Founded in 1961, the Society of Toxicology (SOT) is a professional and scholarly organization of scientists from academic institutions, government, and industry representing the great variety of scientists who practice toxicology in the US and abroad. The Society’s mission is to create a safer and healthier world by advancing the science and increasing the impact of toxicology. For more information, visit http://www.toxicology.org.